And this is just the beginning. Dawn is now about 1 million km away from the tiny ice planet. So Ceres at 1.2 million km is marginally brighter than Venes at 50 million km or so. Venus is much larger, but Ceres also has a really, really low albedo (9%). Still higher than Comet 67p (5%), mind you. The moon is at 12% for comparison. 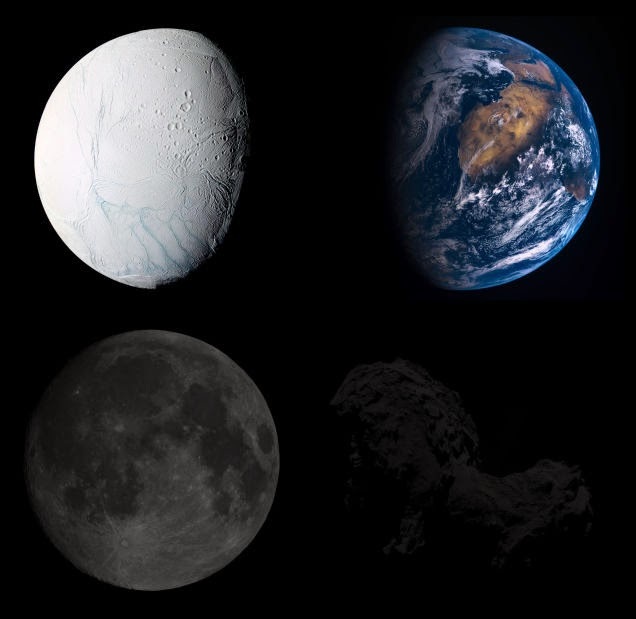 To illustrate this take a look at this picture that was passed around online quite a bit a few weeks back, to show the difference between a nearly 100% albedo (Enceladus) and 5% (Comet 67p). Venus is 90%, Earth is 30%. So Ceres is slightly closer to albedo of our moon.